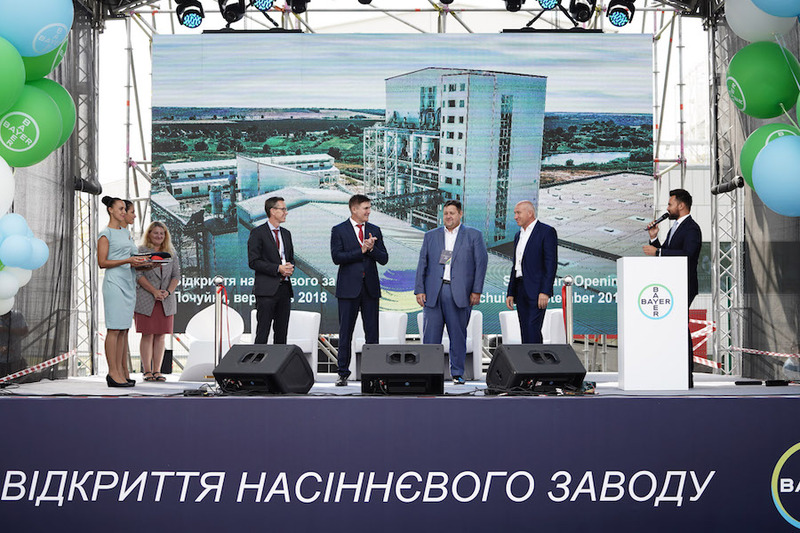 German pharmaceuticals, chemicals and agricultural products maker Bayer officially opened its new, $200 million corn seed processing facility in Pochuiky, Ukraine on Wednesday to support the growth of its DEKALB brand in the country. The plant features a processing a processing capacity of 750,000 units of seed per year that will serve some 2500 farmers across Ukraine with DEKALB corn seed. Bayer said it plans to expand the facility at a later date to enable the facility to export some of its products to international markets. Two dryers and a logistics center will be operational at the site prior to the 2019 planting season. Bayer plans to hire 85 permanent workers and 220 seasonal employees at the Pochuiky plant.